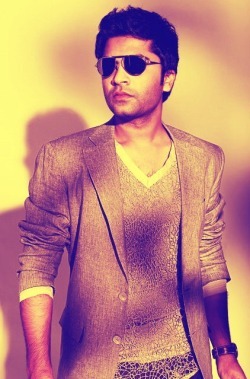 T. R. Silambarasan is a successful, leading Tamil film actor, director, playback singer and songwriter. He began his acting career doing many minor uncredited roles as a child artist, produced by his father T.Rajendar. He made his debut under his father´s direction in 2002 and has since acted in several films in lead roles. He has also directed one film, Vallavan. 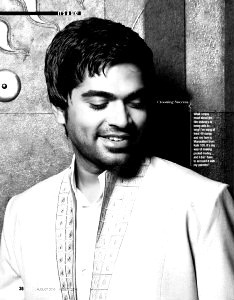 Silambarasan acted in Tamil films as a child artist in his father's films like Monisha En Monalisa, Sabash Babu, Rajadi Rajavan, and Thiruvalla in minor roles. 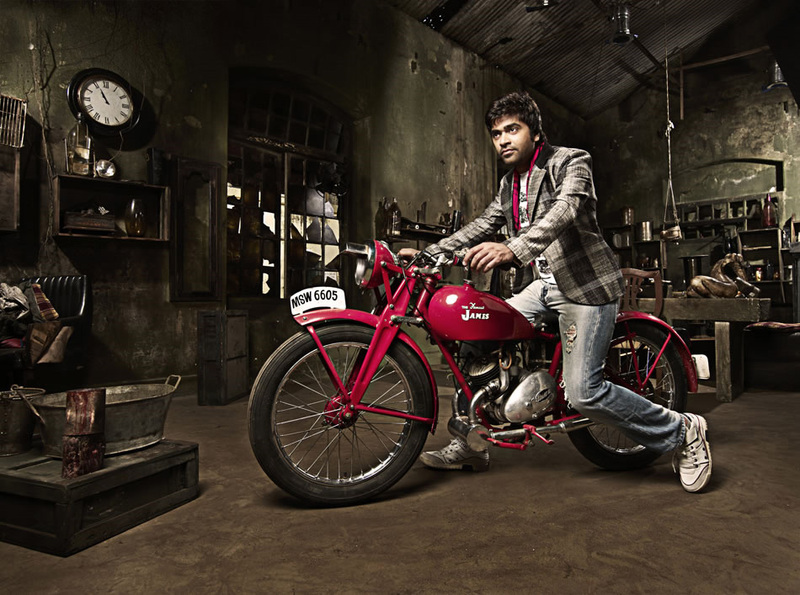 His father, T. Rajendar had an idea to make Silambarasan direct a film at the age of 15 but dropped later. His debut in movies as a hero came in the form of Kaadhal Azhivathillai, a Tamil language movie also featuring the debut of Charmy Kaur, a popular Telugu actress. The film was highly hyped but the film flopped at the box-office and it was followed by Dhum and Kuthu with Rakshitha and Divya Spandana respectively. These films also did average business at the box-office. Alai with Trisha Krishnan followed, which ran over 50 days at the box-office but once again he faced controversy due to some scenes between Trisha Krishnan and himself. His next film, Kovil with Sonia Agarwal but it also failed to make an impact at the box-office. 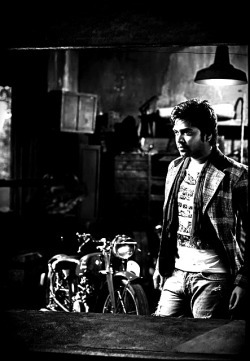 Silambarasan then took a year break to concentrate on the filming of Manmadhan, for which he also wrote the screenplay. The film starred Jyothika Saravanan, Mandira Bedi and Yana Gupta and became a runaway triumph at the box-office breaking many records. 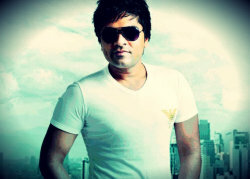 The film was also the first blockbuster in Silambarasan's career. His next film, Thotti Jaya also did not meet up with the expectations at the box-office, in which he had paired with Gopika. For Thotti Jaya he sported a black beard in the role of an orphaned gangster who finds love. In 2006, Saravana was released. After the success of Manmadhan, he paired up with Jyothika Saravanan to act in the film directed by K.S. Ravikumar. But later it also ended up becoming a great flop at the box office. 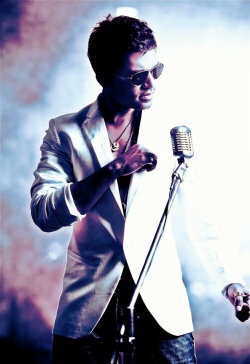 As a child Silambarasan practically worshipped his idol, Superstar Rajnikanth. He started emulating him in his acting skills and style and became known as Little Superstar. He was also a childhood sweetheart of Rajnikanth's eldest daughter, Aishwarya, and planned to marry her. However as he grew up, he became more passionate about films and could not devote more time to spend with her. In addition, her mother, Latha Rajnikanth, strongly opposed their romance and put an end to it. Aishwarya then went on to marry another young film star, Dhanush. Although Simbhu was heartbroken, he openly declared Dhanush as his rival and his heartbreak became an inspiration for his 6th film as an adult hero, Manmadhan. In his first five films which were hardly even average grossers, he was heavily criticized for imitating Superstar Rajnikanth's style, dialogue delivery and actions. Everyone predicted he will never be able to prove his worth in films. However, with manmadhan, he proved everyone wrong when they saw the genius in him.He penned the story, screenplay and even ghost-directed the film himself. His acting in the film resembled that of Kamal Hassan himself. The film, which was all about how women cheated men, became a huge hit and his first real break as his previous 5 films as an adult hero were unsuccessful. In mid-2005, at the age of 25, he became the youngest director ever in Tamil Cinema to direct his directorial debut, Vallavan, the sequel to 2004's manmadhan. He is also virtually often referred to "the bad boy of Tamil Cinema" due to his enormous attitude. Silambarasan decided to turn director in Vallavan. It was released on Diwali 2006 and starred him opposite Nayantara, Reema Sen and Sandhya.It was hyped a lot and released with huge expectation and later became a huge failure at the box office. His latest film, Kaalai, was released in January 2008 which flopped at the box office. However in December 2008, Silambattam released with mixed reviews, though garnering the super hit talk since the film is running packed houses at box office, thus an overall good rating for the film. It was known to be the best film which Silambarasan has ever done. Then he did the voice dubbing for Slumdog Millionaire´s lead hero. Actor Silambarasan aka Simbu is planned to go an election campaign to collect votes for his dad Vijaya.T.Rajendar. Simbu is currently engaged with Gautham Menon's "Vinnai Thaandi Varuvaya" movie in which Trisha plays the lead opposite and the movie is almost nearing its completion stage. According to Rajendar, Simbu will take part in election campaign. for three day in Kallakurichi, Yercaud and Athur areas. More than this a close source revealed that as the campaign may be extended according to the response from the voters. Silambarasan said he need not be in politics to work for the welfare of the public. The Simbu-Anushka marriage rumour started to spread after Simbu reportedly told his dear ones about the marriage during a night out at a city bar. "Anushka is a total beauty. I admire her professionalism and the grace with which she handles her personal life. Truly, I am lucky to have her. I am planning to take her to Rome or Florence for the honeymoon. She deserves the best," the actor was quoted as saying. The actress has apparently visited Simbu's parents and sought their blessings last week. While Simbu is planning to get his clothes done by Sidney Sladen, Anushka is now visiting all the Chennai designers to plan her trousseau and her make-up man Nikki has already started exploring 'looks' for her big day, it is said. The book will be a mega-hit for certain. Whatever anyone says, his life has been very, very extraordinary. I'm buying it def.